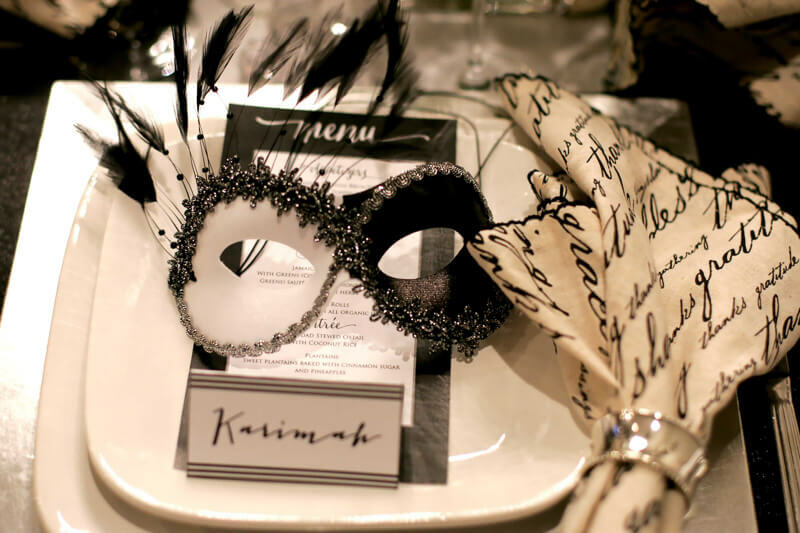 A while back I threw a black and white masquerade themed party for my sister’s birthday. 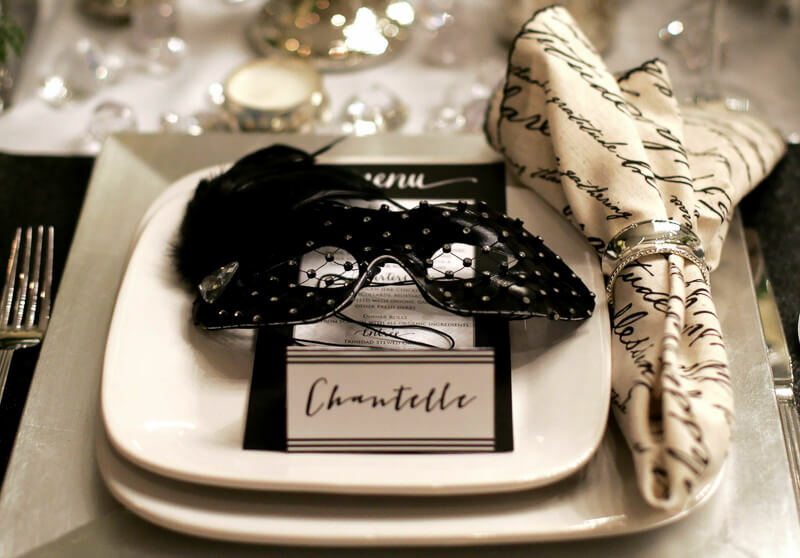 We requested all the guest to dress for the theme ,which was really challenging because we got hit with a massive snow storm. 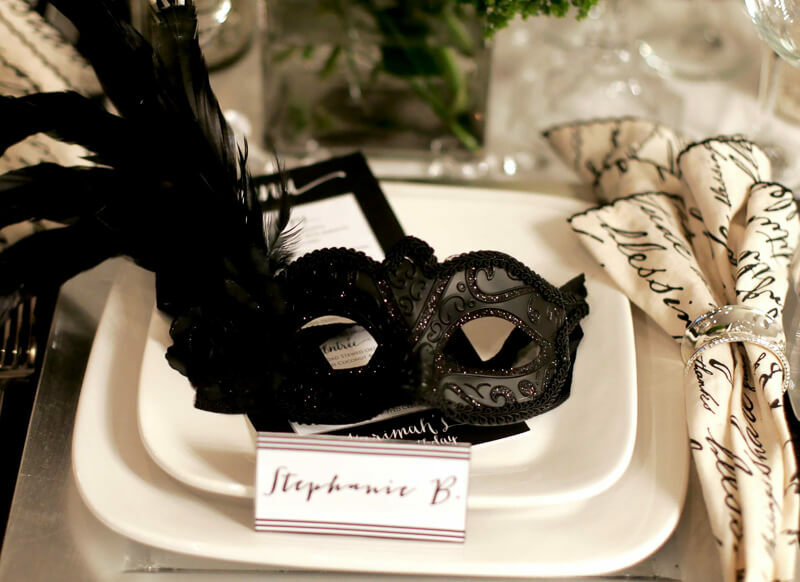 Since my sister’s birthday is in February (the dead of winter) it’s always challenging to plan a party around that time of year due to inclement weather. 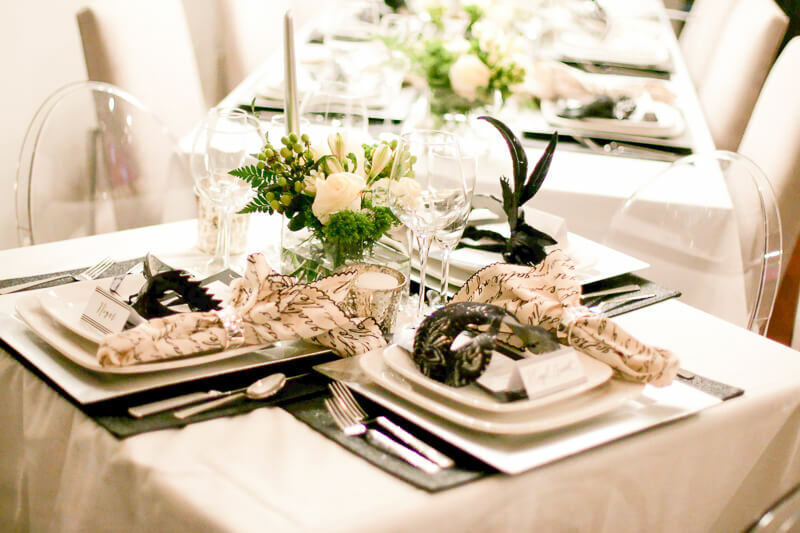 However our guests along with the chefs were troopers and made it through the storm… & the show went on! 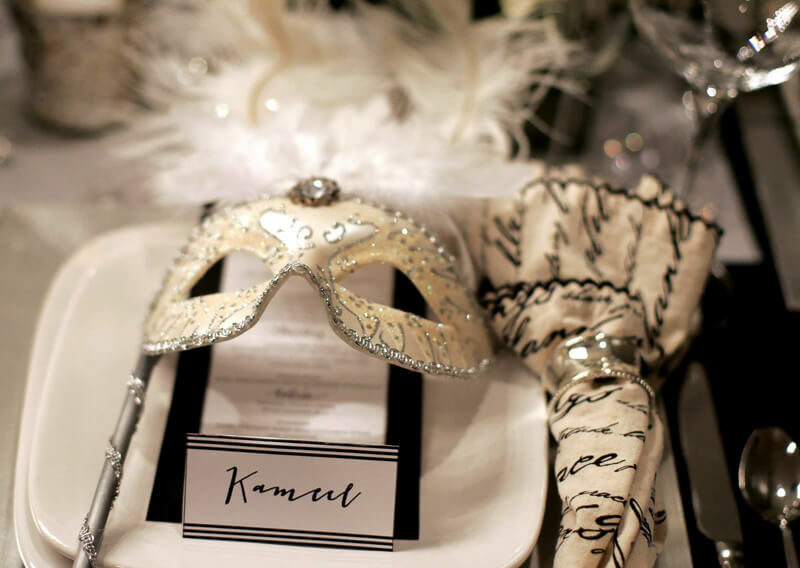 It was an evening full of chic elegance and delicious details. 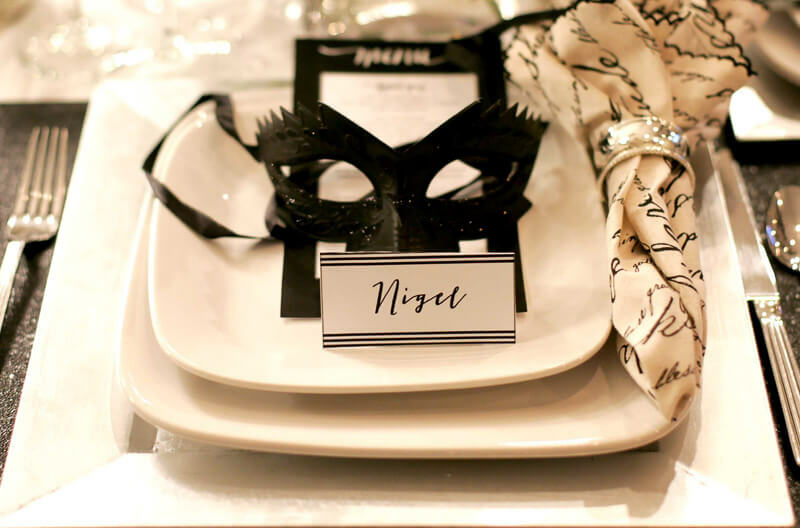 I customized place cards above for our guests settings along with a gifted masquerade mask. 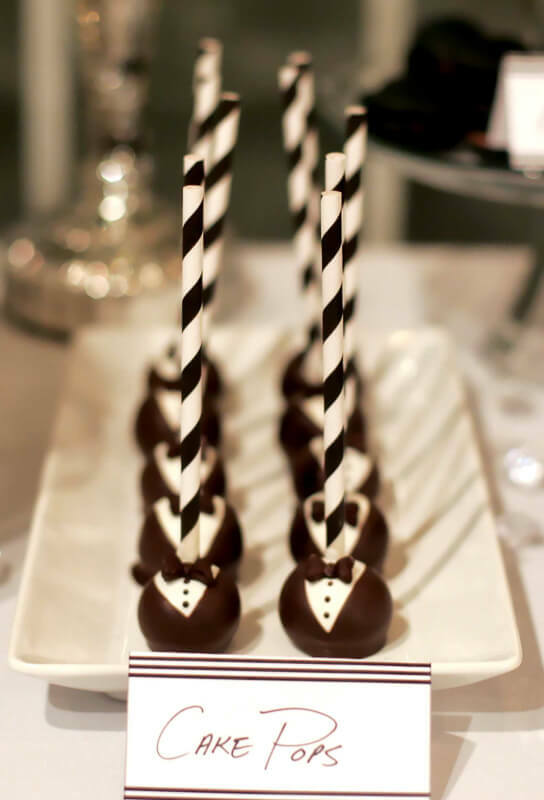 The cutest tuxedo cake pops perfectly dressed for the occasion. 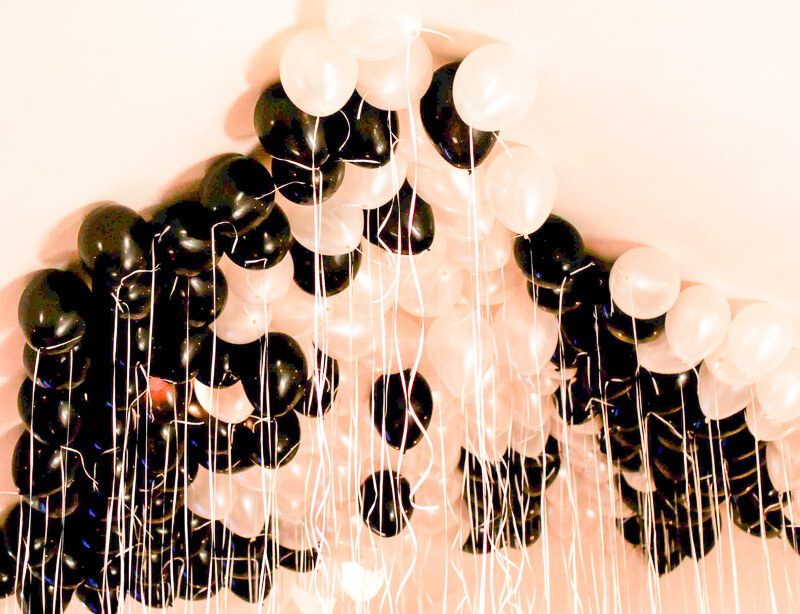 We flooded the room with a parade of black and white balloons . 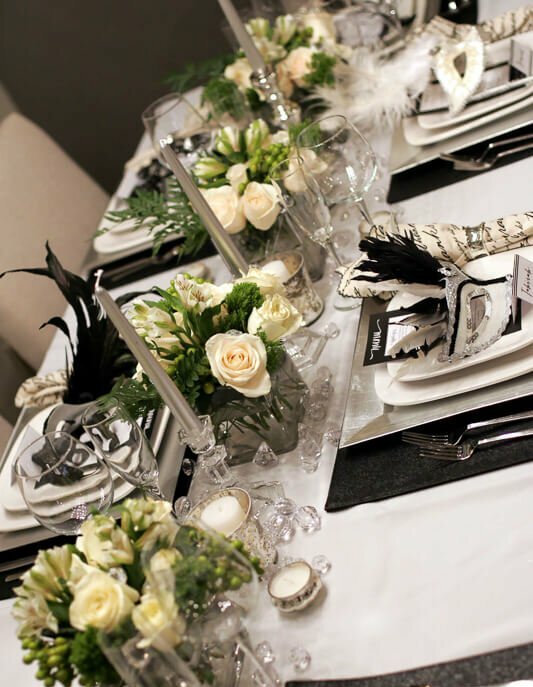 I kept the floral arrangements clean with just a touch of greenery while the lucite chairs added the perfect touch of elegance. As always thanks for passing by!